Surely the most striking Art Deco bath ever produced! Even in the Deco era, and their penchant for the showy & extravagant bathrooms, never was such a bath seen. 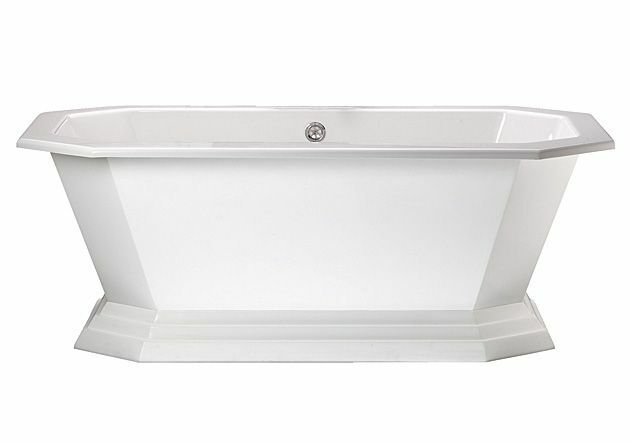 This bath was first produced a few years ago & hasn't been as widely seen as it should. This bath makes a real 'statement' in a bathroom. A must for a High Art Deco fan. White Double Skinned Acrylic Art-Deco bath, with acrylic inner. Eternal size Length 1720mm x depth 775mm; max height: 640mm. Taps can be either wall mounted or fitted to the rim of the bath, but is supplied without tapholes (your installer handles this). 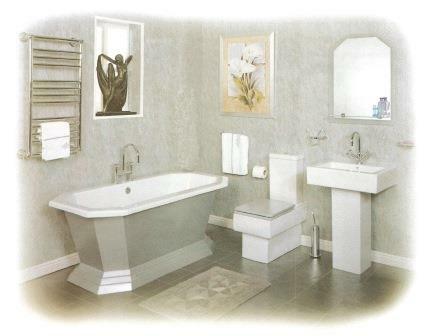 This bath will only take a plug & chain waste or a push down waste (concealed or exposed. - these baths do not take a pop-up waste). This white bath comes in white as standard, but can be painted on the outside. It must be keyed with abrasive paper & primed before painting. Again, your installer or decorator would do this. You could get even more creative with the painting on this and add some Jazzy designs. 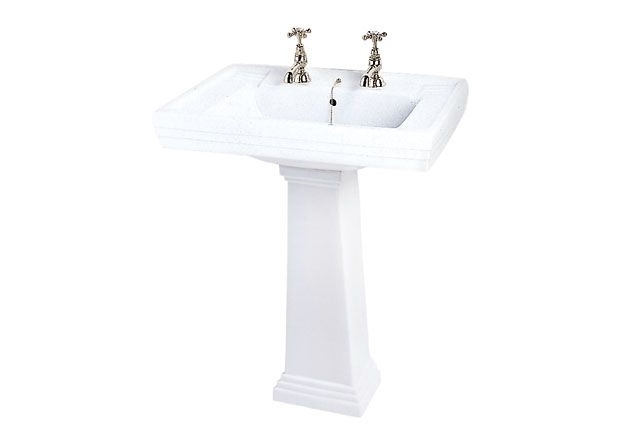 Smaller pedestal basin - shown above left. Length 515mm. Available as 1, 2 or 3 tap hole. Full height inc pedestal 790mm. 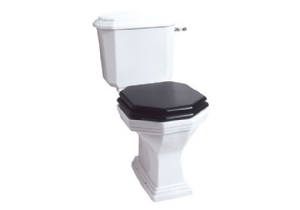 Deco WC; available close coupled or with a low level cistern. 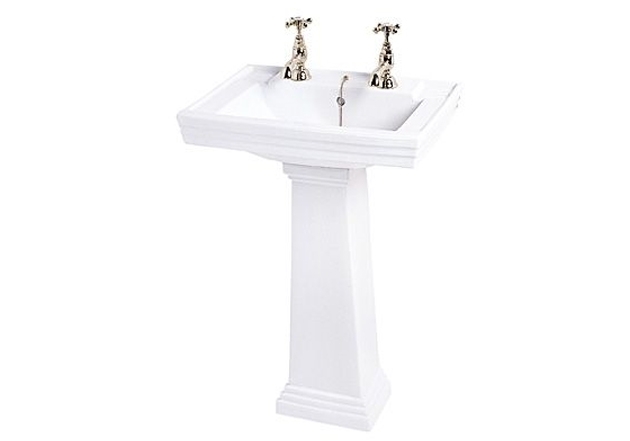 Height: 795mm x width: 410mm x depth: 710mm. The toilet seat matches the angled bath, & sold seperately. It is available in wenge, alder, ash, mahogany, natural oak or pine.